Choosing the right partner in Corporate Optometry is a critical decision for many young ODs. A career decision in corporate optometry is more than a job or potential salary it is a professional decision that will follow you through your career. There are many unique corporate optometry opportunities out there, so how can do you know which is the right fit for you? Working in different settings can help you piece together what you want. For Eyes can be a great way for young ODs to start their career as a business owner. Here are some reasons to partner with For Eyes. For Eyes is owned by Grand Vision. Grand Vision is the 2nd largest company in the world. Being the 2nd largest optical corporation has many benefits to sublease ODs, with automated eye exam lanes, extensive marketing budgets, reasonable rent structures, tech support and discounts with many optometric vendors. Free standing locations – With the recent changes in the economy and rise of online retailers, many people are not going to the mall anymore. Corporate opticals that have traditional done very well in the mall setting are struggling. For Eyes has many of its locations in free standing buildings, thus being able to control the hours they operate and close when they choose to. Doctor sublease hours are based on patient volume and mutually agreed upon with the Doctor. The hours can be flexed up or down throughout the year. Many doctors enjoy a good work life balance because of their ability to have more control in free standing locations. Established Locations– Many For Eyes locations have been established locations with a large patient base. 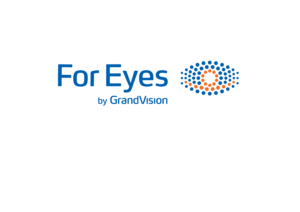 For Eyes is looking to transform those employed locations to sublease locations for any OD that might be interested. Some ODs are able to do fill in work or be employed at their location first before become a lease holder, a great perk for an OD see what the potential business could be and get to know the patient base. Medical Billing- They encourage the Doctor to medical bill. They understand that medical optometry is the future and want to have their ODs succeed. They have encouraged many ODs to seek professional development and career development.